On Saturday afternoon the Saddlers played host to Bradford City in the latest Sky Bet League One fixture of the season. 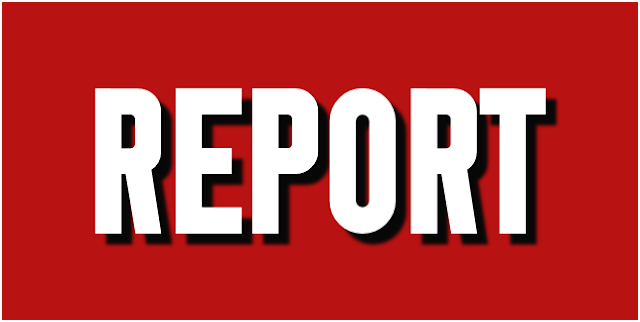 We were in attendance, and our match report is below. Both sides started the match brightly, with a first minute attack from the Saddlers concluding with a tame header towards Bradford City 'keeper, Colin Doyle, coming from Amadou Bakayoko who got onto the end of a cross from Simeon Jackson. Moments later, up at the other end, a ball across the Walsall box helped on by former Saddler loanee, Jordy Hiwula, fell kindly for Mark Marshall who fired a fierce shot towards Neil Etheridge's near-post. The Saddlers shot-stopper pulled off a superb save to tip the ball over the bar. Ten minutes into the match, after some patient build-up play, the visitors found themselves in shooting range again, but Timothee Dieng's long-range effort was an easy hold for the Walsall 'keeper. Seconds later, having regained possession, Nicky Law found himself in shooting range, but under pressure from Isaiah Osbourne, he sliced his twenty yard effort wide. The Saddlers enjoyed a decent spell of possession as the match continued, which culminated in a free-kick being awarded to them, twenty five yards from goal. Scott Laird fired the ball through the wall, but it was watched all the way by Doyle, making for an easy hold. With twenty minutes played, the visitors won a corner, which was swung in by Marshall, causing problems for the Saddlers in the box, but the referee spotted a foul on Etheridge and the danger was averted. Twenty three minutes in, Florent Cuvelier went down following a collision with James Meredith, causing a brief pause to proceedings whilst he received treatment. Fortunately, he was soon back on his feet and able to continue. Two minutes later, a foul on Jackson by Romaine Vincelot saw a free-kick awarded the Saddlers way, which Cuvelier took, finding James O'Connor who headed the ball wide. After a quiet spell, with little goalmouth action, the visitors won a corner, which Law played to Josh Cullen who was waiting in the box. Cullen's angled right-footed drive was beaten away by Etheridge. Two minutes later, with just four minutes of the first-half remaining, some lovely build-up play from the Saddlers saw Osbourne set up Bakayoko, whose powerful twenty yard drive was deflected behind by Vincelot. Matt Preston headed wide following a lovely delivery from Cuvelier from the resulting corner. With a minute of regulation time to play, the visitors saw the final chance of the half go begging, as O'Connor slipped as a cross came in, allowing Hiwula time to control a cross from Stephen Darby before firing an effort in on goal. Fortunately for the Saddlers, his goal-bound effort was held superbly by Etheridge and after one additional minute was played, without incident, the teams took to the tunnel with the scores as they had been at the start of the afternoon. The visitors made a change as the teams returned to the field for the second half, with Stephen Darby making way for Marc McNulty. Bradford enjoyed a decent spell during the opening minutes of the half; some good build-up play, culminating in a low cross from Meredith falling to Cullen whose low twenty yard driven effort was pushed away by an alert Etheridge who did well to get down to the ball. Moments later, with forty nine minutes on the clock, the Saddlers converted their first chance of the half; Osbourne firing a left-footed effort, across Doyle and into the bottom corner from a tight angle to give his side the lead. City looked to get back on level terms quickly, with Law finding a path through the Saddlers to Meredith, whose low cross fell to Hiwula, who was unable to turn the ball home from six yards. Just a minute after his missed tap-in, Hiwula was presented with another chance, his initial effort was blocked by the legs of Etheridge, but the ball ricocheted off Preston and fell to Hiwula, who didn't make the same mistake again and hammered home from a tight angle to draw his side level. With fifty five minutes on the clock, a foul on Cullen just outside the box, won a free-kick in a dangerous area for City. Marshall took the free-kick; his effort was blocked, but fell to Law who fired wide of the mark. The game opened up, and moments later, back at the other end, Jackson saw a stinging strike beaten away by Doyle at his near post. With sixty two minutes played, a powerful drive from Jason McCarthy, forced a fingertip save from Doyle. The resulting corner was swung in by Cuvelier and picked up McCarthy, who headed the ball goal-wards, but Cullen was well placed on the line to keep the ball out. With twenty two minutes still to play, the Saddlers made their first change of the afternoon, as a busy Florent Cuvelier made way for Franck Moussa. The visiting bench also took the opportunity to make a change, their second of the day, as Jordy Hiwula was replaced by Haris Vuckic. Fifteen minutes from time, a lovely cross from Meredith out on the left-wing, was met by James Hanson, whose headed effort fell kindly for Etheridge who held the ball comfortably. In the seventy eighth minute, the Saddlers made their second change of the afternoon, with Andreas Makris coming on in place of Simeon Jackson. Moments after the Saddlers change, with the visitors enjoying some decent spells of possession, Marshall found his way past Laird, as he cut inside from the right wing, before slicing an effort wide of goal. Moments later, having regained possession, the visitors created another chance, as Cullen crossed the ball into the box, where it was picked up by a team-mate who turned the ball goal-wards. Etheridge was alert and held the ball with a dive to his right. With just six minutes of the match remaining, the Saddlers made their third and final change of the afternoon, as Amadou Bakayoko made way for Erhun Oztumer. Three additional minutes were awarded at the end of the regulation ninety, with both teams keen to find a winning goal during them. The first booking of the match came just as we headed into extra time, with Romain Vincelot picking up a yellow card for a foul on Isaiah Osbourne. The only chance during extra time fell to the Saddlers, as Osbourne crossed into the six yard box, where Moussa was waiting to turn the ball home. Unfortunately Moussa was beaten to the ball by a City defender and the match finished all-square. A busy afternoon for both sides, who created thirty shots between them, each deserving of their point.